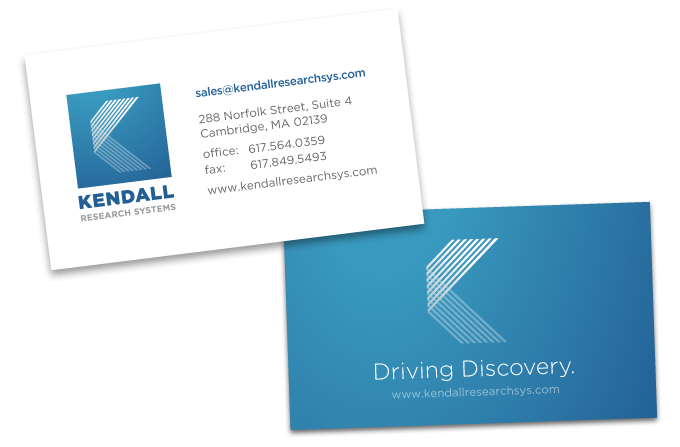 Kendall Research is a small group of engineers and technologists from MIT looking to enable scientific discovery through innovative technology. Initial design work included a logo, business cards and banners for an upcoming trade show event. The K logo mark was inspired by their work in the biomedical space, using fiber-optics to transmit light for activation of neurons.